I am so happy to share one of our family Christmas traditions with you. We call it The Christmas Basket Game. We started doing this around 30 years ago. 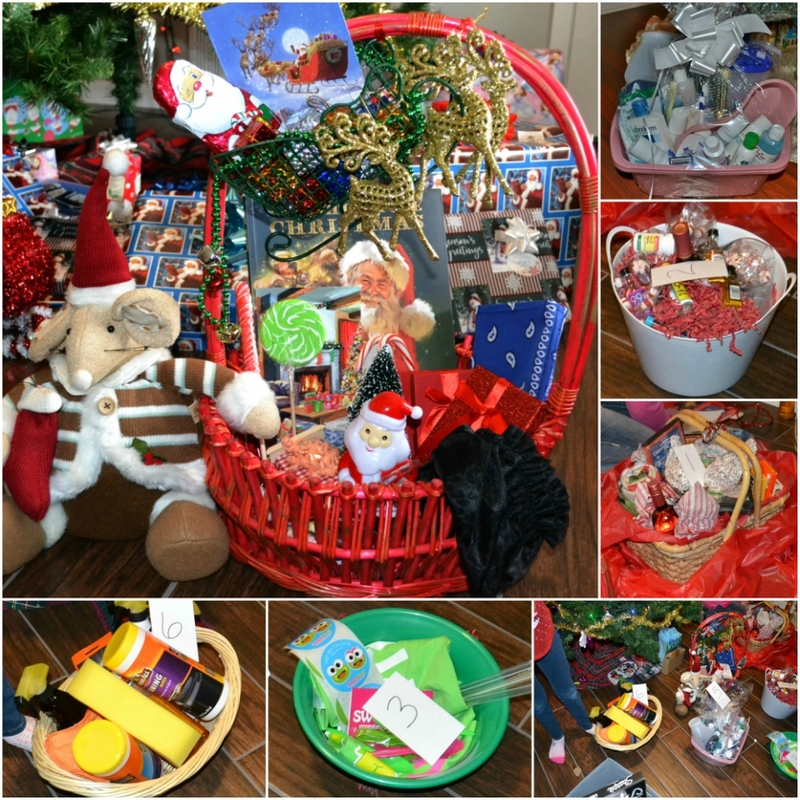 Each family unit chooses a theme to create a basket around. We don’t really put a price on it, but usually $40-$50 is what people spend. They have the whole year to create their Christmas Basket. 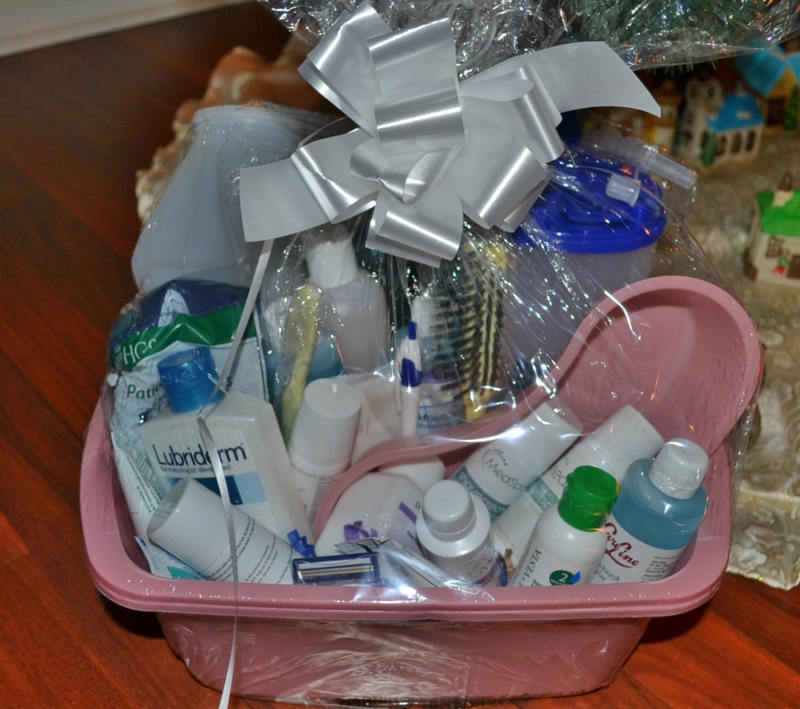 As guests arrive, they have their baskets covered in a large trash bag, and they are set in a designated room. 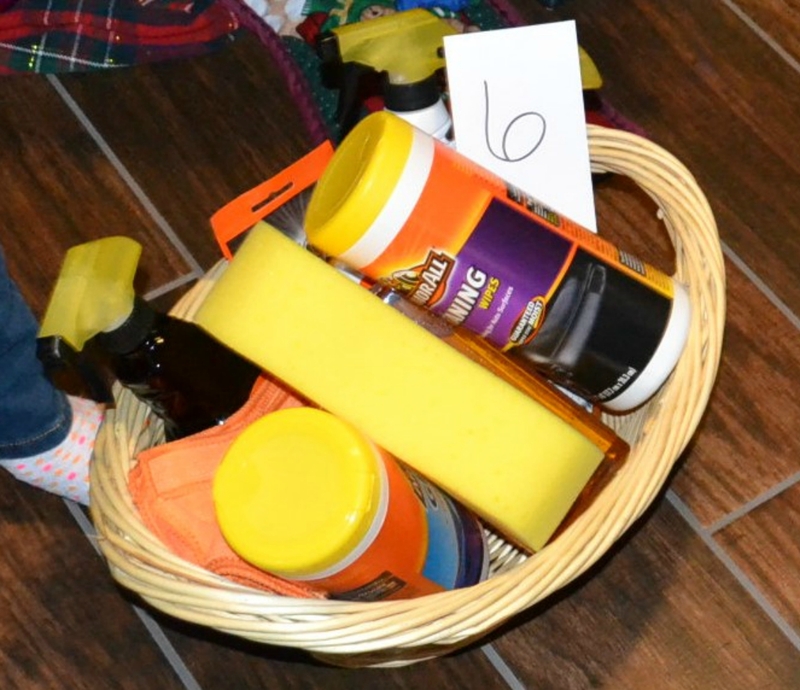 After we have our Christmas dinner, open gifts, and play the White Elephant game…it is time for the baskets. When the time comes, a family member carries all of the baskets into the party room, and removes the trash bags. Each basket is given a number. The family units then try to guess who made each basket. Whoever gets the most right, picks their choice of the baskets to take home. It continues by 2nd place etc. Everyone that brings a basket, goes home with a basket. “The As Seen on TV Basket” “Western Theme” “The Cat in the Hat” “Italian Basket” “Things That Keep you Warm”. 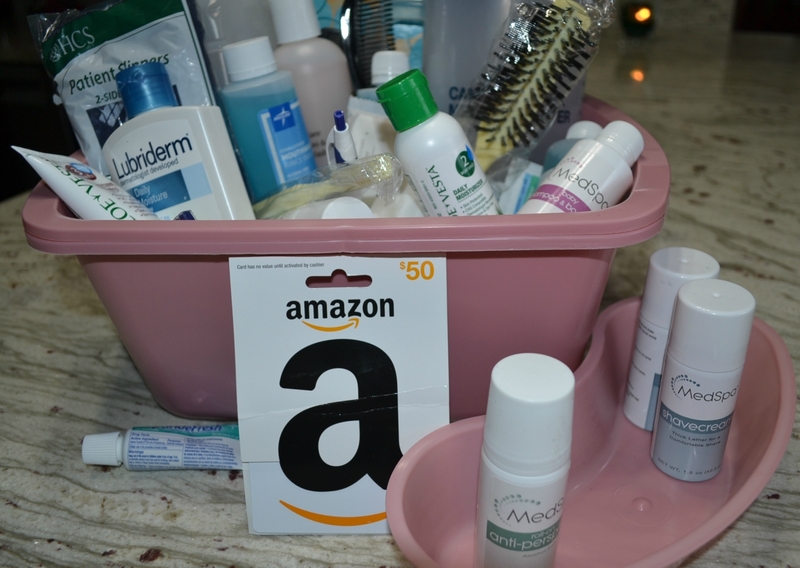 We fill the baskets with nice items, funny items, and everything in between. It is always a challenge to try to fool everyone. 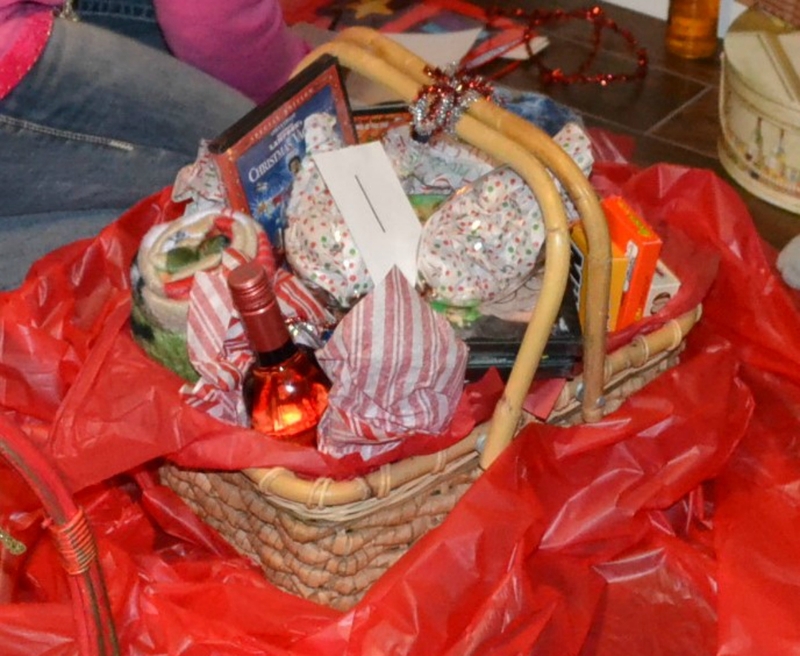 Here are the baskets that were created this year. 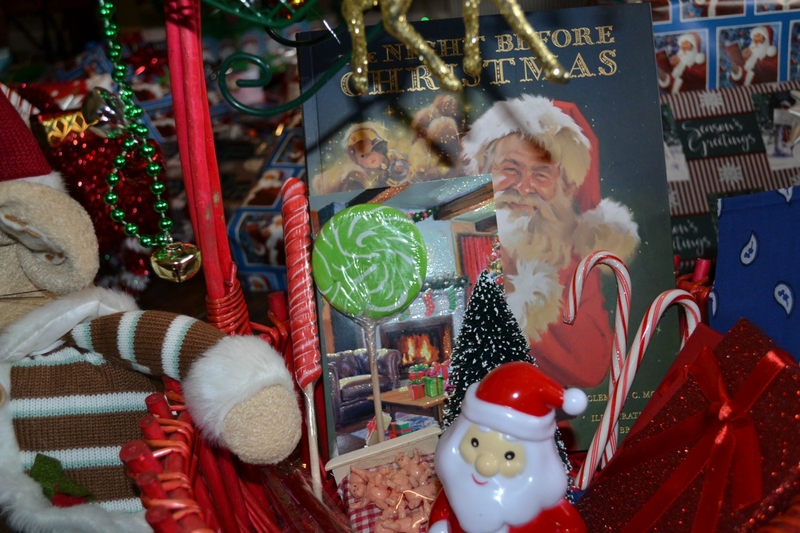 My theme was “The Night Before Christmas” basket. placed some “sugar plums” around their heads. a $10 Wal-Mart gift card in each and a $50 Texas Road House gift card in the larger box as gifts Santa left. We were all laughing because it was so obvious. My son-in-law was burned in a gasoline/brush fire accident this summer while they were on vacation. He spent a month in ICU at a burn center, and then time in rehab. only made us appreciate this Christmas together even more. My daughter hid a $50 Amazon gift card in here too. They were all beautifully done and such fun themes. My lighting was very bad downstairs on this evening, so my pictures are not the best. The Car Care Basket. A favorite of the men. The Art Basket. (I missed a picture of this one!) A canvas basket packet with art supplies. 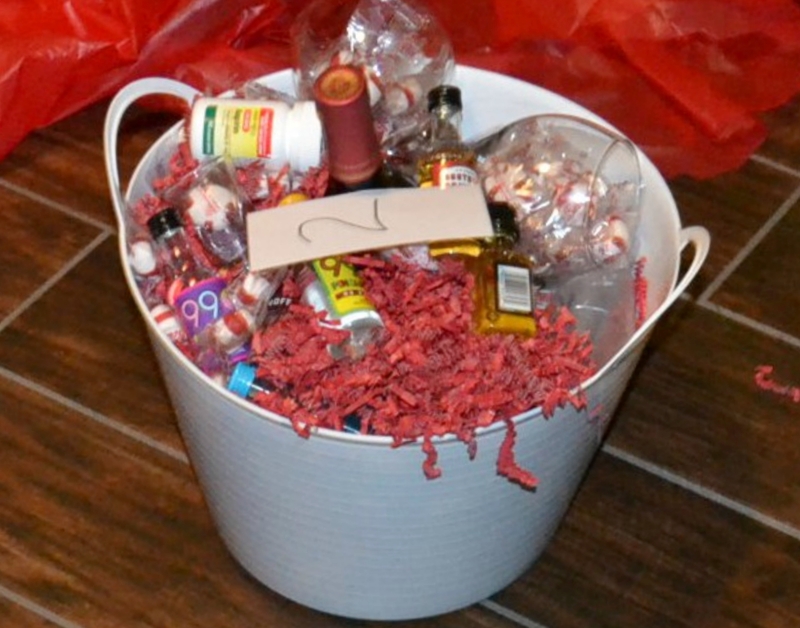 The Christmas Movie Night Basket. Movie,snacks, a bottle of wine, and wine glasses and other goodies. 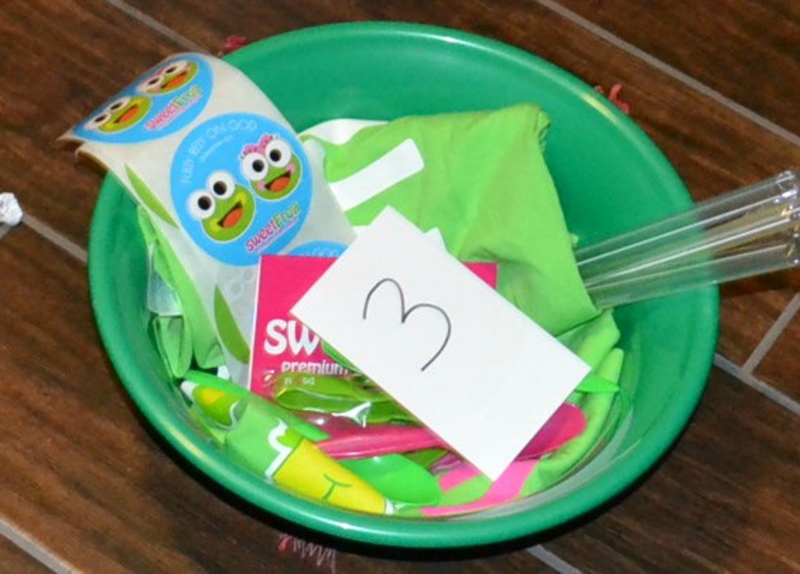 from Sweet Frog Frozen Yogurt, t-shirt & gift card. brought many laughs. Small beverage bottles & meds needed for a hangover. idea for next year’s basket. 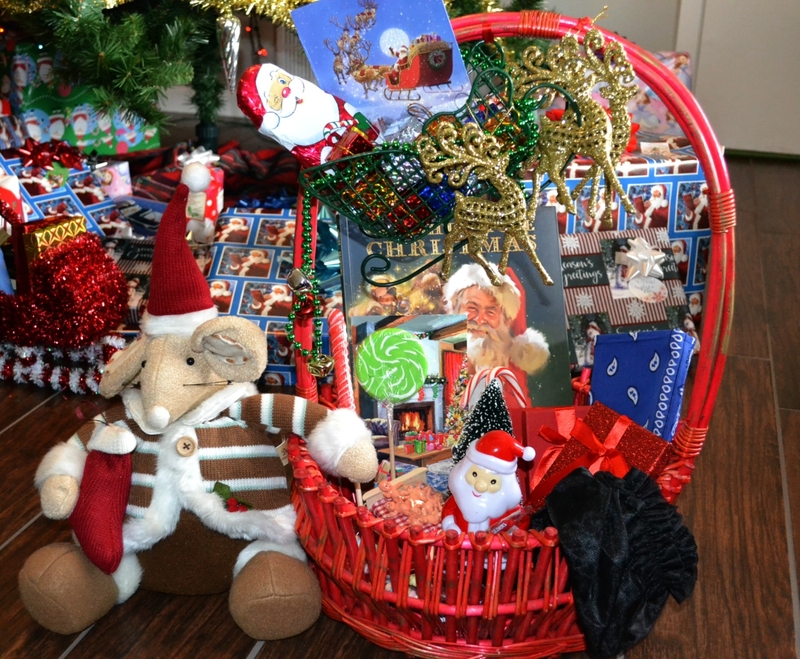 Try the Christmas Basket Game with your family one year and see what fun and creativity everyone has. **These were last year’s baskets. I will post the ones from 2018 after we have our party. I’ve been smiling all the way through this post! What a clever idea! I can just imagine the fun of looking out all year long for items to place in your basket! This looks like so much fun! Everyone is so creative!